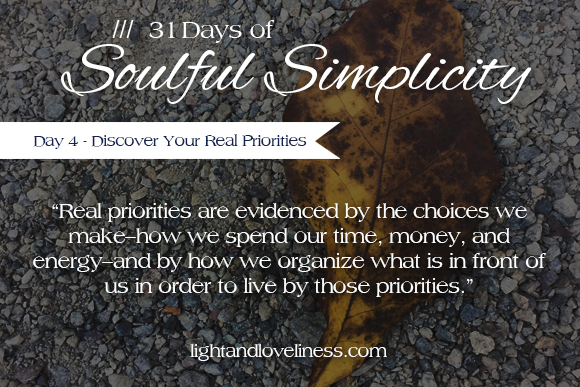 This is day 4 of Soulful Simplicity, a 31-day series through the month of October! If you missed the first few posts in the series, you can check them out here. Thanks for taking the time to spend a few minutes here. I had a baby earlier this year. He is a butterball of lovey goodness, and I am cherishing these months of his sort-of-littleness. Those of you who know him understand why I must describe him as sort-of-little. He’s young, but not actually little at all. He was 10lbs 4oz at birth, and at 7.5 months is now 22lbs. The year before he was born, I challenged myself to run or walk ten miles a week, every week for 2015, and managed to log 600 miles for the year even though I was pregnant for half of it and wasn’t in the best shape when I started. That was a real victory for me, as I have never been a consistently active person. Before that year, I always intended to prioritize fitness, but never made it happen. I would have told you that health was a priority for me but that was not entirely true until 2015 when I verifiably got moving and kept moving. Many people don’t realize that their intentions and priorities are not the same thing. We intend to do plenty of things that we never actually do. For something to be regarded as a priority in our lives, actions are needed to affirm that what we declare to be a priority is truly a priority. In the process of pursuing simplicity over the past few years, I have learned that what I think my priorities are and what they actually are don’t always match. It is a conundrum that is easily fixed, but can cause a lot of grief if the imbalance persists without being addressed. I have no desire to tell you what your priorities should be, but I do care that today you go away with a mind to honestly identify what your priorities truly are so that you can be sure you are making deliberate choices toward living them. Real priorities are evidenced by the choices we make—how we spend our time, money, and energy—and by how we organize what is in front of us in order to live by those priorities. Before we get too much further in this month of Soulful Simplicity, I would encourage you to take an honest evaluation of what your priorities are based on what you do, not what you intend-to-do-but-don’t-really-do. What are your real priorities? Please note I am not looking for the “right” answer. I’m looking for the truthful answer. And actually, you don’t even have to share that with me. Just think about it. Thoughtfully. If I say my priority is to have a well-organized home but there is clutter in nearly every corner of every room (true of my house in this present moment), it is safe to say that having a well-organized home actually isn’t a priority for me. Did you know that it is really ok (and sometimes advisable) to not stress out about having the neatest and most organized home? (Type A friends can pick a fight with me now…I can take y’all). My true priority is that my home be a sanctuary for all who live and visit here. Sometimes that priority involves doing stuff in the organization and tidiness zone (not my forte), but it also includes sometimes tending my soul by taking time to pray or write or read a book, thereby leaving dishes in the sink overnight. Sometimes it involves ignoring laundry for a stretch while I teach my children and take time to invest in their growing hearts and minds. 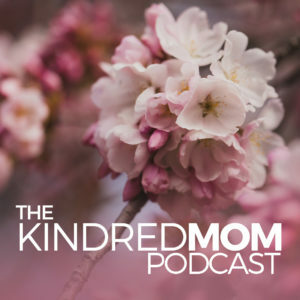 Sometimes it means getting motivated to tackle all the unglamorous mundane household things so we all have the space we need to live in harmony with each other without total meltdown. If my house is a bit disheveled here and there, but my family relationships are flourishing — I am succeeding at living into my priorities, and can celebrate that victory. When I can see that I am living into the true priorities I have, I am inwardly encouraged and find energy to outwardly keep moving in that direction. I can see the value in the work I do, even in the tasks I don’t like as much but need to be done. In this way, identifying your priorities helps you understand your purpose, and when you are clear on your purpose, you gain a wonderful momentum that allows you to infuse the passion you have for the things that are most important to you into the tasks that are necessary to tend those things well. Determining your true priorities helps you establish reasonable expectations for yourself, and helps you set healthy boundaries in areas where things have a tendency to get out of hand. Are you beginning to see how identifying your priorities can lead to freedom from impossible or unfair expectations of yourself? Are you beginning to see why the pursuit of soulful simplicity has become one of my top priorities? I’d love to hear from you if you give this exercise a try and see some benefit in it.